Wellness in general terms is defined as the freedom from any kind of disease. In Ayurveda wellness does not only pertain to physical health but also mental and social health. A state where body, mind, emotions, senses and spirit are all in perfect balance is called wellness. Sushruta, who was the author of one of the founding texts of Ayurveda, writes "A person is considered healthy when his physiology is balanced, his digestion and metabolism are functioning well, his tissue and excretion functions are normal and his mind and senses are in a constant state of profound happiness". At DJI Ayurveda this is the kind of wellness we try to achieve. We have special programs designed to treat both physical as well as mental ailments of the body. 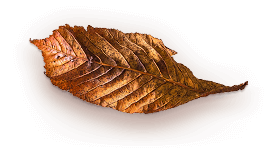 Ayurveda gives us a lot of tools that can be used to treat both body and mind and we use these all natural tools to bring our patients back to health. Bringing back the balance in your life is one of our specialities. There are three vital forces in the human body that control all the functions. These are vata, pitta and kapha. All of these three forces align to make a person healthy. When the balance between these is disrupted, a person falls ill. This is what needs to be treated. DJI Ayurveda uses all natural techniques for the wellness of the patients. To know more about our wellness programs, you can give us a call or write to us. Share with us your problems and we will make sure to provide you a suitable solution for them. 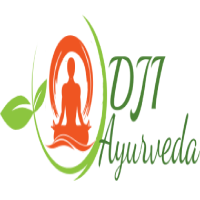 Here at DJI Ayurveda, you can get affordable ayurvedic treatments and experience the age old art of healing first hand. With the help of Ayurveda, you will go back home happier and much healthier.